Dauna Mae Allen left her Earthly body on November 17, 2018 to join her husband and the love of her life; Paul Dean Allen. Dauna was born to Edith Marie and C. Arnold Nelson in Glendale CA. on January 30,1934. As a young girl, the family moved to Kingsburg Ca. The Nelson family were long time residents of Kingsburg. Dauna was extremely proud of her Swedish heritage and was very involved as a community member of Kingsburg. She served as PTA president for the elementary school and President of the Junior Women's club and remained a member and supporter of the Tuesday club until her death. She married Paul D. Allen in 1951 and became the beloved mother to Larry and Linda. She was the medical receptionist for Dr. Larson and Doctor Stuckey in Kingsburg for many years. Dauna was a talented piano player and often entertained family and friends with her love for music. She was a supportive wife and partner and very involved in Paul's love for racing and the championship boat “ Liberty”. Paul left this earth 3 years previously and was profoundly missed by Dauna and family. Dauna is loved, missed and survived by her two sisters Wanda Nelson Parker and Carla Nelson Kamphausen, Cousin Gary Nelson, her son, Larry Allen, daughter Linda and son-in-law Warren Riemath, granddaughter Noelle, and three great grandchildren, Madison, Micahla, and Kannon. She is and will continue to be missed by family and many dear friends. A memorial service will be held on Sunday, January 13 at the Creighton Memorial Chapel in Kingsburg at 12:00 noon, A CELEBRATION OF LIFE AND LOVE will be held in true ALLEN tradition at PARDINIS on Shaw Ave in Fresno at 2:00p.m. Visitation will be on Wednesday Jan. 9, 2019 at 5 with recitation of the Rosary starting at 6:00 Pm all the funeral home. Recitation of the Rosary will be held Monday Jan. 14, 2019 at 6:00 P.M. at Our Lady of Sorrows Catholic Church in Parlier, CA followed by a Mass of Christian on Tuesday Jan. 15, 2019 at 10:00 A.M.
Judith Bergman was born to John and Astrid Bennetts on February 5, 1934 in Selma, CA. Judy passed away as a result of complications with Chronic Obstructive Pulmonary Disease (C.O.P.D.) and Pneumonia on January 3, 2019. When Judy was age 2 the family moved to a farm northeast of Kingsburg where she was raised. 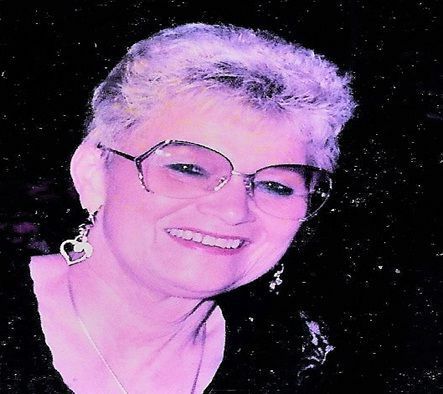 The family attended the Colony Covenant Church where Judy became active as a Bible teacher, youth counselor, pianist, choir member, soloist and for many years an organist. Judy attended Clay Elementary School and Kingsburg High School graduating in 1952. She graduated from Reedley College in 1954 with a degree in Business Education. In future years worked in the offices of Sun Maid Raisin Growers, Ostrom's Pharmacy and West Coast Raisin Growers. On September 9, 1961 she married Ronald D. Bergman. In 1966 Judy became a full- time mom for 18 years to sons Robert, born in 1966 and John, born in 1968. In 1979 Ron and Judy's family would transfer their Colony Church membership to the Kingsburg Covenant Church where Judy would be active in the musical program and with being the pipe organist for several years. Judy as a Kingsburg Historical Society volunteer with husband Ron did much of the organization of pictures in the Clay School Building, the creation of catalogs for ease of locating people pictured. She worked behind the scenes doing much of the museum's archival work from home. The Bergman family home for 41 years was on Rose Avenue northeast of Kingsburg. Upon retirement in 2002 the Bergman's moved to Kingsburg, CA. In 2013 they would move to the Bethel Lutheran Village for Independent Living in Selma, CA. Judy was preceded in death by her parents John and Astrid Bennetts and her older brother, Melvin Bennetts. Judith Bergman is survived by her husband of 57 years Ronald D. Bergman, son Robert D. Bergman and wife Tracy, and son John L. Bergman and wife Loree. She also leaves a grandson Rhett Bergman and granddaughter Amanda, married to Josh Palmer, as well as granddaughters Mariah, Ashlynn, and Breegan Bergman. A special thank you goes out to Dr Terry Neria and the nursing staff of the Adventist Health Hospital in Selma, CA for their wonderful care given Judy during her brief hospitalization. There will be a Graveside Service at 10:00 A. M. on Friday, January 11, 2019 at the Kingsburg Cemetery and a Memorial Service at 11:00 A.M. in the Evangelical Covenant Church in Kingsburg, CA, on the corner of Draper and Lincoln Streets. Remembrances may be made to the Evangelical Covenant Church of Kingsburg, 1490 Lincoln Street, Kingsburg, CA 93631. On the check memo line put: Judy Bergman Memorial. Elna E. Davis, 96, of Hanford Passed away on Friday, December 28, 2018. A Visitation will be held Wednesday, January 9, 2019 from 10:30 a.m. to 12:00 p.m. at People's Funeral Chapel; 501 N. Douty St, Hanford, California. A Graveside Service will be on Thursday, January 10, 2019 at 1:00 p.m. at Oak Grove Cemetery; 19811 S. Cedar Ave, Laton, California. The world lost a loving, caring, and generous person when Merlin David Corder II (Jack), the age of 86, passed away at his home in Hanford, California on Tuesday, December 27, 2018. He was born in North Hollywood, California on March 15, 1932 to Merlin and Inez (Snyder) Corder. Jack, as he was known to friends and family attended high school in Neligh, Nebraska. He joined the Navy in 1952. On August 26 of the year Jack was married to Jeannine Frances Prater. Together they had two children Lisa Ann (Corder) Jipson and Merlin Davis Corder III (Trey). His work with the Bureau of Reclamation brought him to Lemoore in 1965. He later transferred to the Department of Defense at N.A.S. Lemoore. After Jeannine's retirement from Lemoore Elementary School District they moved to Ponderosa Basin into a home they had built together. After the birth of their two grandchildren, Emily and Merlin, they moved to Hanford to be closer to family. Jack enjoyed simple pleasures; camping, fishing, reading a good western, and he had a life-long passion for wood carving. Jack is survived by his wife of 66 years, Jeannine, his two sisters Peggy Egan and Gerry Hughes, daughter Lisa, son-in-law Michael Jipson, son Merlin David III (trey), grandchildren Emily Simon, Merlin David IV, and great-granddaughter Holly Harmon. Services are at 1:00P.M. Saturday, January 12, 2019 at the First United Methodist Church Lemoore. The family would like to offer a special thank you to their friends for their many prayers and Adventist Home Health Hospice Care for their care and compassion. Remembrances may be made to the American Parkinson Foundation 135 Parkinson Ave. Staten Island, N.Y. 10305. Lee Wayne Yarbrough was born in Oklahoma City, Oklahoma on June 9th, 1940 to Wayne and Inez Yarbrough, and he passed away on January 6th, 2019 at the age of 78. He grew up in Borger, Texas and Midwest City, Oklahoma. He had fond memories of growing up with his younger siblings, Lynn and Joella as well as several cousins, aunts and uncles. His family was always involved in church. In his later years, he would often reflect on how his mother prayed for him and encouraged him. In high school, Lee played football for the Midwest City Bombers. He told many a story over the years, often including lessons learned from Coach Darnell. In 1963 he moved to California where he began working as a welder. During those first few years away from home and family, he was lonely, and decided to join a church. During this time period, God called him to the ministry. Not long after, he enrolled in California Baptist University in Riverside where he met his wife, Kathryn. The two married on August 24th, 1968 and just recently celebrated their 50th wedding anniversary. In 1970 Lee graduated from California Baptist College with a degree in history and a minor in religion. The couple also welcomed their first child, Joel. They moved to Texas during the summer of 1971. Lee continued his education earning his Master's in Divinity. In 1973, Jill was born. From 1975-1979, Lee began his first pastorate in a small logging town, McCloud, California. During that time, Jane and Joy were born, completing their family. The family left McCloud in 1979, and moved onto the following ministries: Principal and Education Director at North Hills Christian School in Vallejo, CA and Pastor of Tierra Buena Baptist Church in Yuba City, CA. In 1983 the Yarbrough's moved to Hanford, California where Lee served as the Pastor of First Southern Baptist Church for 26 years before retiring in 2009. Throughout his time there he blessed many lives. Some highlights include taking hundreds of kids to summer camp over the years, Vacation Bible School, and Angel Food Ministries. He also had a love and a knack for connecting with people. He visited people in their homes, in the hospital, and of course he could also be found at the donut shop or at a good high school basketball game. During his retirement Lee and Kathryn enjoyed themselves. Taking trips near and far, watching over their grandchildren, and continuing to serve the community. Though retired, Lee continued God's work by serving as a Chaplain at Adventist Health Hospital, serving at People's Funeral Chapel, and teaching at Sierra Baptist Church in Visalia. During his free time, he enjoyed gardening, farming worms, and watching the San Antonio Spurs. In 2014 Lee was diagnosed with a neurological disease, Multiple System Atrophy. Despite his disease he continued to serve where he could. When people came to visit, he often said, “You know, I've been praying for you!” This was such an example and inspiration for his family, because as his health was declining, he consistently prayed for others. His wife Kathryn cared for him, never leaving his side. Lee was a fighter till the end. Always wanting to walk, proud to share his daily progress with statements such as “I took 40 steps today!” Lee was always positive, always witty, and he always had faith in God. Let us not weep for our loss but rejoice for his happiness. Let us celebrate his life knowing he is with the Lord, walking, dancing, and laughing. He is doing all that his earthly body restricted him from doing. Let us rejoice that he is at peace. He is preceded in death by his mother and father, Inez and Wayne Yarbrough, and his brother, Lynn Yarbrough. He is survived by his wife Kathryn Yarbrough, his sister Joella Hannaman, his mother in-law Elda Wilson, brother and sister in-laws Keith and Cindy Wilson. His four children, Joel Yarbrough, Jill Rubalcava and husband, Jay, Jane Dirkes and husband, Andrew, and Joy Najera and husband, Mario, his 18 grandchildren, Christian Yarbrough, Erin Yarbrough, Hannah Yarbrough, Samuel Yarbrough, Joshua Yarbrough, Jordan Yarbrough, Melissa Rubalcava, Orie Rubalcava, Ryan Rubalcava, Joseph Yarbrough, Jenna Rubalcava, Kathryn Dirkes, Daniel Dirkes, Abby Najera, Hailey Najera, Brooklyn Najera, Jacob Najera, and Madelyn Najera, one great-grandchild, McKinnley Yarbrough, and numerous nieces and nephews. Lee Yarbrough was a goofy, fun-loving, witty man who loved life. He will forever be remembered as a husband, a brother, a father, a grandfather, a friend, a pastor. Pastor Lee's Family would like to thank People's Funeral Chapel, First Southern Baptist Church and countless family and friends who have offered kind words, prayers and support. Family and Friends are invited to view Pastor Lee's legacy at www.peoplesfuneralchapel.com and send condolences to the family. A Visitation will be held on Friday, January 11, 2019 from 5:00 – 7:00 p.m. at People's Funeral Chapel; 501 N. Douty St, Hanford and his Celebration of Life Funeral Service will be held on Saturday, January 12, 2019 at 11:00 a.m. at First Southern Baptist Church; 1207 N. 11th Ave, Hanford, CA 93230. Services by People's Funeral Chapel 559-584-5591. Our father, Ernest Cabral Souza, passed away on December 27, 2018 at the age of 72, in Hanford. He was born in Santa Maria, Azores on December 6, 1946 to Joe and Deolinda Sousa. Dad was one of twelve children. He is survived by his loving wife of 47 years, Maria Ines Souza; as well as his children, Sandra Espinoza, Robert Souza (Alex Souza), and Doreen Souza (Michael Drew). He is also survived by three grandchildren whom he absolutely adored and who loved him so much, Cecily Jo Perez (Spencer Olson), Damon Christopher Espinoza and William David Ernesto Souza. He will also be missed by his siblings and the wonderful friends that he made over many years. Dad was a truly good man with a wonderful heart. He never met a stranger and could strike up a conversation with just about anyone. We'll miss his jokes, which he never finished, because he always started laughing before he got to the punch line. We'll miss the sound of a soccer game always in the background and watching him playing pool. He's gone, but he will never be forgotten. Until we meet again, Dad. We love you. Family and Friends are invited to view Ernest's legacy at www.peoplesfuneralchapel.com and send condolences to the family. Cara Irene Mann, 101, of Hanford, formerly of Avenal, passed away January 1st. A Funeral Service will be held on Wednesday at 11:00 A.M. at Glad Tidings Church in Hanford. Arrangements are under the direction of Phipps-Dale Funeral Chapel in Lemoore. Granville Deane Villa, 87, passed away on January 3, 2019 at the Adventist Hospital in Hanford, California. Deane was born on September 1, 1931, the only son of the late Robert and Cecelia Villa. He was born at home on Martin Street in Lemoore, California. He graduated from Lemoore Union High School in 1950, where he lettered in football all 4 years. After high school, he enlisted in the United States Air Force and served in the Korean War, earning several service medals. While stationed in Topeka, Kansas he married his high school sweetheart, and 'girl next door', Frances Castadio. Following his honorable discharge, they returned to Lemoore. Deane graduated from Fresno State University in 1959 with an elementary school teaching credential. He began his teaching career at Stratford Elementary School and never looked back. He soon became the principal of the Stratford Cougars where he was affectionately known as 'Big Daddy Cougar'. Mr. Villa coached girls track and was always so proud of his team. Deane loved all levels of football and was a super fan of the S.F. 49ers and the Lemoore Tigers. He also enjoyed Indy car racing and NASCAR. Deane was an outdoorsman and loved trips to Avila Beach and Huntington Lake. Granville Deane Villa was an unassuming good man; he was a Kiwanis Club member for many years and served his community at every opportunity. Deane and Frances lived and raised their five children in Lemoore. Once retired, Deane and Frances traveled the U.S. and the world together. Deane was preceded in death by his wife of 53 years, who passed away in 2006 of pancreatic cancer. He is survived by his sister Joan Villa of Corcoran, son Robert Villa, his daughters Julie Villa, Theresa Copeland, Mary Villa-Buck, and Lisa Villa, 9 Grandchildren, and 5 great grandchildren. Visitation will be held on Friday, January 11, 2019 from 4:00 - 7:00 P.M. with a Vigil Rosary Service at 6:00 P.M. at St. Peter's Church in Lemoore. A Mass of Christian Burial will be held at 10:00 A.M. on Saturday, January 12, 2019, also at St. Peter's Church. Burial will follow the service at Lemoore Cemetery. In lieu of flowers, donations can be made to the American Kidney Fund, 11921 Rockville Pike, Suite 300, Rockville, MD 20852 or by visiting their website at www.kidneyfund.org. Funeral arrangements are being handled by Phipps-Dale Funeral Chapel in Lemoore, CA. Family and Friends are invited to view Sherrill's legacy at www.peoplesfuneralchapel.com and send condolences to the family. Geraldine, known to her friends as Jerry, passed away on Sunday, December 30th in Hanford. She was born on September 3, 1933 in Lemoore to Mary and Manuel Andrade. Jerry was raised in Lemoore where she attended elementary school, and graduated from Lemoore High School. She met Richard Galletti of Hanford on a blind date set up by mutual friends in June of 1955. They were married on June 26, 1957 at St. Peters Catholic Church in Lemoore. They then resided in Hanford until her passing. Jerry worked as a bookkeeper at Caminol in Hanford, later becoming a stay at home mom. When her oldest daughter went off to college, Jerry returned to work at Caminol, which by then was known as Beacon Oil. She worked there for 18 years. It had become Valero by the time she retired in 1997. Jerry and Richard enjoyed traveling in retirement. They enjoyed going to the coast where one of their favorite locations was Pismo Beach. They also traveled to the Sand and Surf and Pismo Shores RV parks in Oceano to spend time with Richard's brother and sister-in-law. She loved to go to Monterey and have crab on the wharf. They traveled to Jacksonville, Florida to visit her brother and sister-in-law and take in a Jaguars football game. They enjoyed time in St. Louis, Missouri where Richard's Navy Ship Reunion was held. In October 1994, they were in attendance for Mario Andretti's final Indy car race at Laguna Seca Raceway. Through the years they took many trips with family and friends to Lake Tahoe, Las Vegas and Laughlin, Nevada where she loved playing slot machines. They also traveled to San Jose to visit family. After she retired, she enjoyed going to lunch and then playing a few slots at the Tachi Palace. In recent years, Sunday afternoons were spent watching NASCAR. Although she was Portuguese, Jerry was very skilled at helping the Italian women on Richard's side of the family make ravioli every Thanksgiving and Christmas. She was also known for all the lemon meringue and banana cream pies she made from scratch for those same holiday dinners. Jerry had several health issues the past 6 years, but miraculously powered through them. She never complained except when she had a week full of doctor appointments to go to. Her body may have been slowing down, but her mind was sharp and she would reminisce about the good times from as far back as 60 years ago. She always made Christmas and birthdays special for her daughters. She loved the Christmas season, and the past two months had enjoyed watching holiday movies on the Hallmark Channel every day. In healthier days, she enjoyed working in her yard and tending to her flowers. She was also fond of putting flamingo decorations in the flowerbeds. Jerry was also an avid reader and could spend all day reading books from start to finish. She enjoyed sharing and swapping books with her dear friend Elda and her sister, Jeanne. At the time of her death, she was a 26 ½ year survivor of breast cancer. During the time in 1992 that she was undergoing radiation and chemotherapy, she became an avid collector of teddy bears. It was also then that she started a trend of never missing a chance to eat dessert. She dearly loved her sweet snacks. Some favorites were donuts, chocolate cake and banana cream pie. Jerry was preceded in death by her parents Manuel and Mary, brother-in-law Virgil Galletti, and niece Rebecca Andrade. She is survived by her husband of 61 years, Richard; daughters Donna of Monterey, CA and Sandra of Hanford, CA; her sister Jeanne (John) Marcus of Brentwood, CA, brother Don (Joan) Andrade of Jacksonville, Florida; and sister-in-law Eleanor Galletti of Hanford. Nieces Sherryl Marcus of Chandler, Arizona; Danielle (Thomas) Wilson of Jacksonville, Florida; Elizabeth (Jen) Andrade of Orlando, Florida; Rhonda Trask of Visalia, and Renee (Craig) Ruch of Kingsburg. Nephew David (Wendy) Marcus of Springville, as well as two great nephews, two great nieces, two great great nephews and two great great nieces. Uncle Joe Camara of Arroyo Grande, and numerous Camara and Andrade cousins. The family extends their sincere thanks to her extraordinary medical team who cared for her and kept her going the past few years: Ronnette Daulton, Dr. Raj Reddy, Dr. Tom Yang, and Dr. Boris Reznik. We all will miss her sense of humor and quick wit. Visitation will be at 5:00 PM on Thursday, January 10, 2019 at Whitehurst-McNamera. A rosary will be held immediately after the visitation at the chapel at 6:00 PM. Graveside services will be held on Friday, January 11th at 11:00 AM at Calvary Cemetery. In lieu of flowers, donations can be made in her memory to the American Cancer Society. They can be mailed to 2222 W. Shaw Ave., Suite 201, Fresno, CA. 93711. Michael Joseph Cole age 66 died on December 31, 2018 in a hospital surrounded by family. He was born in Dubuque, Iowa. He was the second child of four. Mike had a passion for sports in all forms. He participated in track & field and began coaching in high school in Iowa. Michael taught and coached in four states over 32 years. Most students knew him as Mr. Cole or Coach Cole. He also had a passion for photography, the outdoors and people. Michael is survived by his children: Shanna (Ben) Kadlubar, Shara (Ben) Allen and Shone Cole, father Ray Cole, brother Kevin (Patty) Cole, sister Janice (Dave) Shultz and his four grandchildren: Lucinda and Corbin Kadlubar and Wyatt and Weston Allen. He is preceded in death by his older brother Mark Cole. To those who knew him he was a light and we celebrate the spirit of Michael Cole that touched and loved so many. A Memorial Service will be held on Friday, January 11th at 3:00 P.M. at Phipps-Dale Funeral Chapel in Lemoore. Friends who wish can make donations in Michael's memory to St. Jude Children's Research Hospital, P.O. Box 1000, Dept. 142, Memphis, TN 38101-9908. On December 24, 2018 Evelyn (Evie) Smales went to be with our Lord. Dianne, her only daughter and her husband, Mike were with her when she passed away at Adventist Health Hospital in Hanford. Evie was born in Yerington, NV on August 26, 1927. Her mother, Yola Romani married Joseph Nardi on August 26, 1926 and had Evelyn 1 year later. Evie also had a younger brother, Robert, who was born in 1942 and passed away in 1980. Before WWII Evie had met Roy Smales and when he returned from the war they reconnected in 1948 and were married in February 1948 in Hawthorne, NV. Daughter Dianne was born a year later. Roy and Evie lived in Hawthorne until 1962, and then relocated to San Diego, CA. for better employment. They remained there until May 2004, when they moved to Lemoore to be with their daughter & family. Roy & Evie quickly made everlasting friends and became involve at St. Peter's Catholic Church. On November 1, 2013 Roy passed away after a lengthy illness, and after 65 years of marriage. With the love of her life gone, Evie moved into The Remington Retirement Home. She enjoyed her new life and meeting new friends and remained there until her passing. Evie will be fondly remembered by all who know her, as a woman of faith, family and true friendship. She loved people, was kind hearted, giving and the first person to give you a card for any occasion! Evie is survived by daughter Dianne, and son-in-law Michael; grandsons Eric, David and wife Delayni (Vierra); great grandchildren Joseph, Michael, Gavin and Marlie Rose. Her family would like to thank all those who have been part of her journey until her passing: The staff and caregivers at The Remington, the staff at Hanford Post Acute, the nurses, ER nurses, Dr. Richard Ellsworth and Nurse Anesthetist Wynn Allen at Adventist Health Hospital, Fr. Isaque Meneses and countless family and friends who visited and prayed for and with her in her last days. A Memorial Mass will be held at St. Peters Catholic Church on Thursday, January 10 at 10:00 A.M., 740 N Lemoore Ave. Remembrances may be sent to St. Peters Catholic Church Improvement Fund or to M.I.Q School, 884 N Lemoore Ave. Arrangements and services entrusted to Phipps-Dale Funeral Chapel, 420 W. D Street, Lemoore, CA 93245.